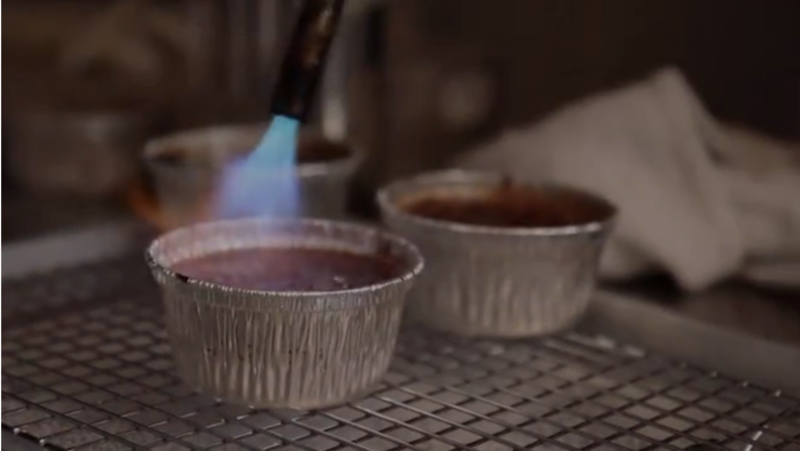 Curtis Kimball torches some creme brûlées at his 24th Street location. The Creme Brûlée Cart, the brick-and-mortar located on 24th and Osage Street since 2013, will be closed indefinitely while the owner decides what to do with the space and the business, according to founder Curtis Kimball. “We haven’t decided what we want to do with the space. Right now, we’re just closed for awhile while we sort through what we should do with the space,” said Kimball, in a Facebook message. In 2009, Kimball began the Creme Brûlée Cart with one torch and a small pushcart on Linda Street in the Mission. Business improved enough for Kimball to eventually get a bigger cart, and then a truck, which traveled to various Off the Grid events. Local San Francisco food enthusiasts began to take notice and The Creme Brûlée Cart was soon regarded as somewhat of a staple when it came to desserts with crazy combinations, starting at $4. The classic brûlées included a vanilla bean, dark chocolate and salted caramel, with more complex treats like the SF Gold, which combines vanilla bean creme brûlée and their house-made dark chocolate shortbread crumble with sea-salted caramel sauce. A few of the creme brûlées that The Creme Brûlée Cart would serve. Kimball and his cart were soon featured in The New York Times, Sunset Magazine, PBS, and even the Food Network. 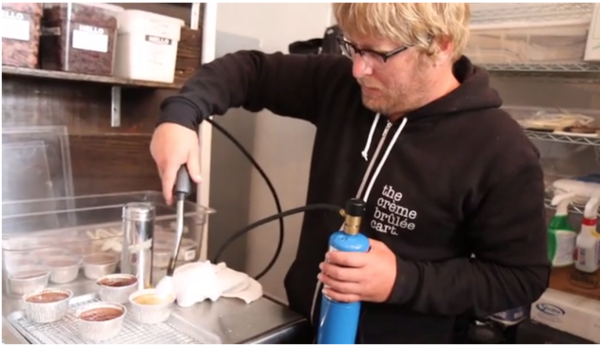 In 2013, The Creme Brûlée Cart found a home on 24th Street, right across from the Bart Station Plaza. Located in the heart of the Mission, lines would be seen flowing out of the storefront and onto the street, especially when the treats were offered for free. Now Kimball said that he is not really sure what he will do with the space, or the future of The Creme Brûlée Cart, but updates are expected. PreviousFive Mission Artists Finalists for Muni Project – Vote Now!